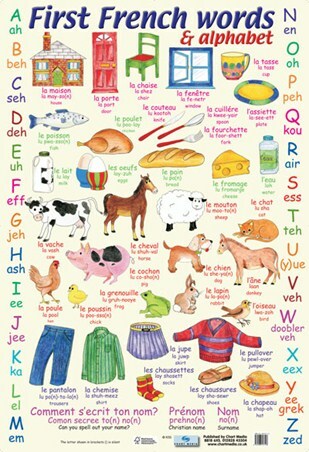 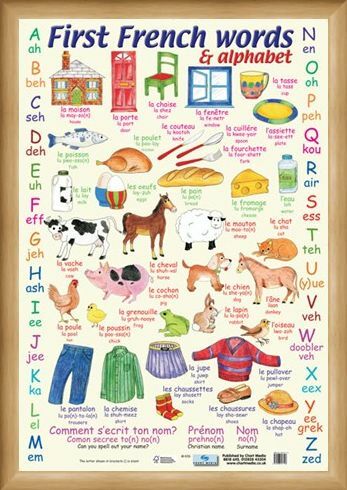 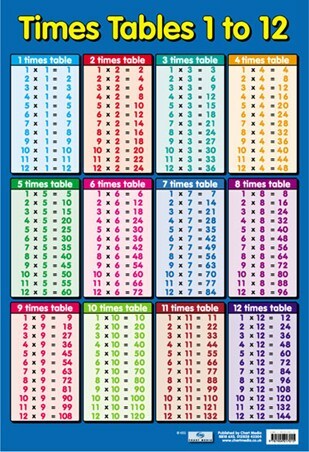 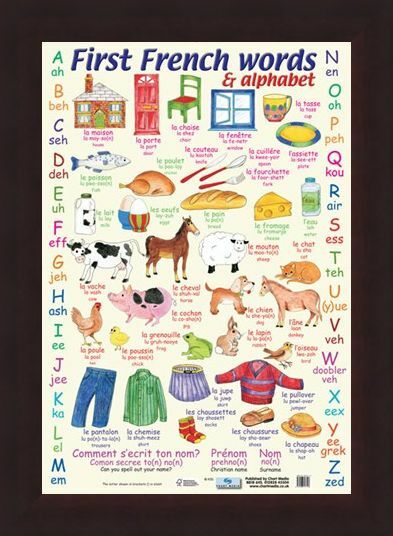 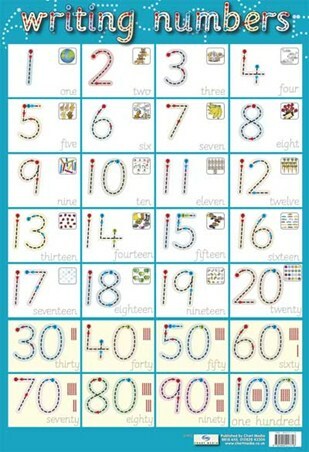 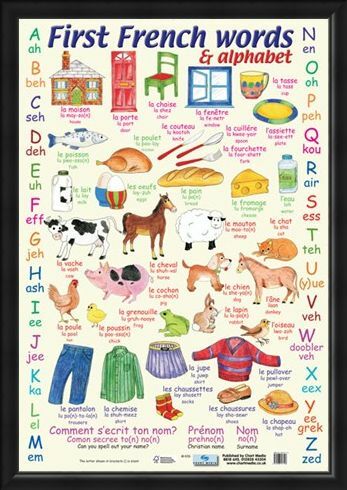 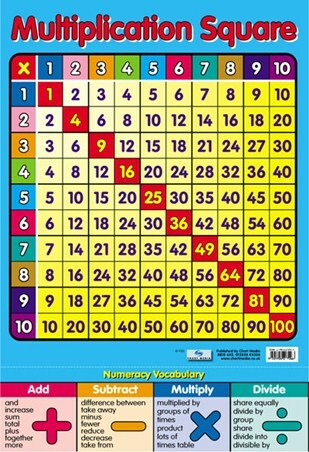 Educational Mini Poster: This is a fun packed poster that will help your child speak their first French words with ease. 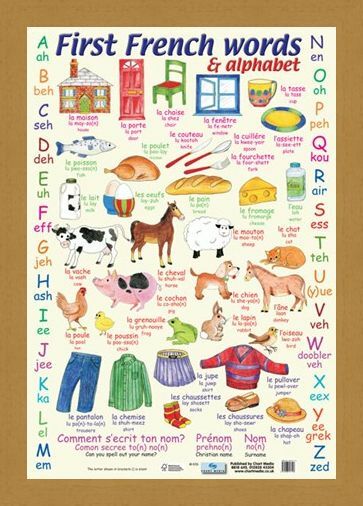 Animals, Clothing, Food and everyday products are illustrated in childlike, simple designs and accompany both the French and English word for the item. Help your child have fun with learning as they learn the name "le lapin" for rabbit, "le chien" for dog, le cheval for horse and "les chaussures" for shoes among many others. 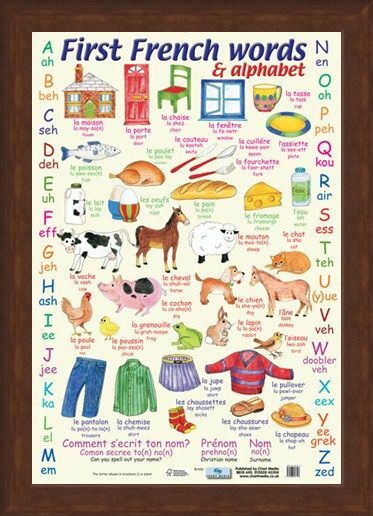 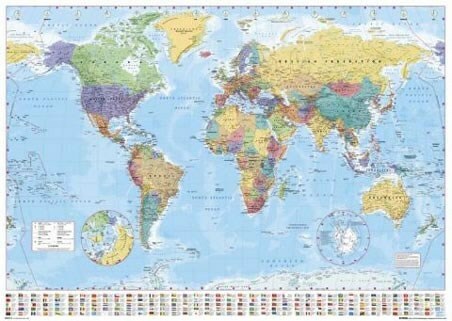 The land of opportunity awaits as your child becomes fluent in another language, perfect for anyone who likes a challenge. High quality, framed First French Words, Learn The Alphabet in French mini poster with a bespoke frame by our custom framing service.